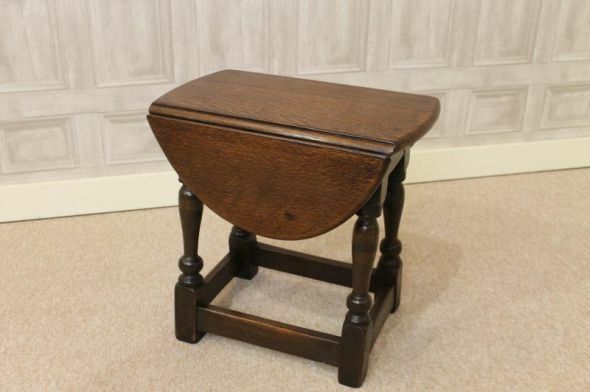 This antique side table is a fine example of quality solid English oak furniture. This beautiful 1930s turn top table features period styling, and would complement a range of period or contemporary interiors. The table is in lovely condition, and is an extremely useful piece of furniture for any small period cottage. Please be aware that this is an old piece of furniture so it will show signs of general wear and tear. If there was any major damage or repair work, this would have been pointed out in the description or in the photographs. We stock a wide range of antique side tables and occasional tables which would be ideal to complement a range of interiors. Please see our other listings for further details, or contact the office on 01543 375872.